This assignment you will complete with a group. 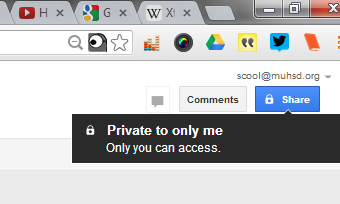 Google has some neat features, one of which allows everyone to work on the same document simultaneously. Instead of only one person having to be the recorder, everybody can type. We need to complete a few steps before getting started. You need to decide who will get the document off the webpage. 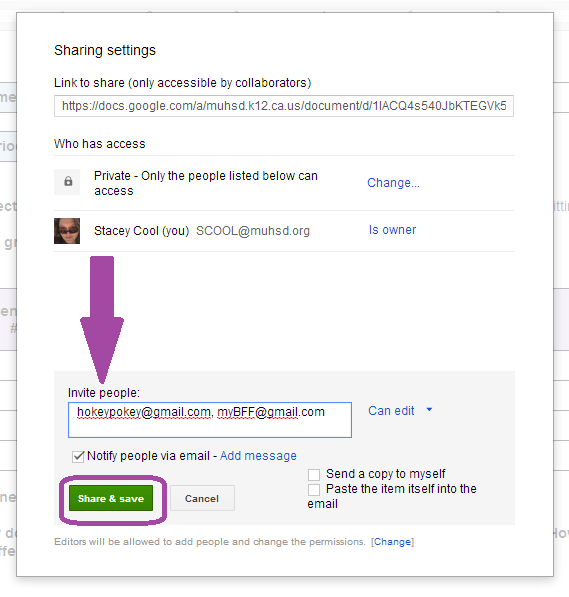 That person needs to open the document from the link provided here. Go under the file menu and click "make a copy." A new copy of the document will open. 4. Rename the document adding your first names and the period to the end of the title. You can close the original document. 5. The document needs to be shared with everyone in the group AND Ms. Cool. Click on the blue share button in the top right hand corner of the screen. 7. Once that is done, everyone should now have a copy of the assignment delivered to their email. When they open it, you will see them working on it. Now you can complete the assignment. When the group is done with the assignment, you need to turn it in electronically to Ms. Cool using the form below. 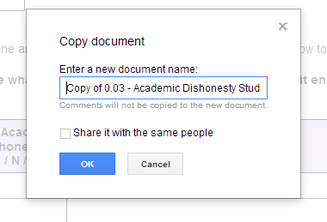 Academic dishonesty is something I take very seriously. 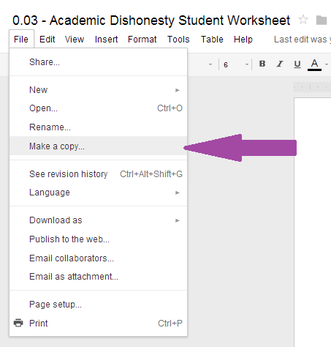 In years past, students have committed academic dishonesty in my class and it has meant the difference between passing and failing chemistry or the difference between a B and an A.